Now with an overall pool of some 35,000 registrants and about 5,000 active readers, the UK’s The Pigeonhole engages consumers ahead of a book’s release to generate word-of-mouth. 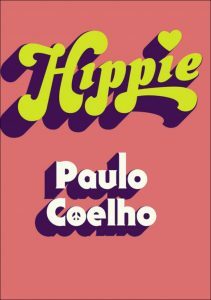 Bestselling Brazilian novelist Paulo Coelho’s new, semi-autobiographical novel, Hippie is to be released by Penguin Random House in its UK edition on September 25. But fans of the author are competing at The Pigeonhole for a chance to start reading it nine days early, on Sunday (September 16). That’s when the book marketing platform The Pigeonhole will begin publishing Hippie in 10 free installments for a limited number of readers, free of charge. Working with British publishers with an eye to developing a wider reach, The Pigeonhole today dubs itself ‘The Book Club in Your Pocket,’ and works to gather a community of digital book lovers to read and discuss books in installments prior to their publication. It’s a marketing tool being considered by key publishing houses looking to generate the buzz of reader conversation shortly before a book’s release. When Publishing Perspectives last looked at The Pigeonhole in 2015, the startup had been launched a year earlier and its co-founders, Anna Jean Hughes and Jacob Cockcroft, were intent on creating a way for new authors to build a following for themselves in the digital marketplace. 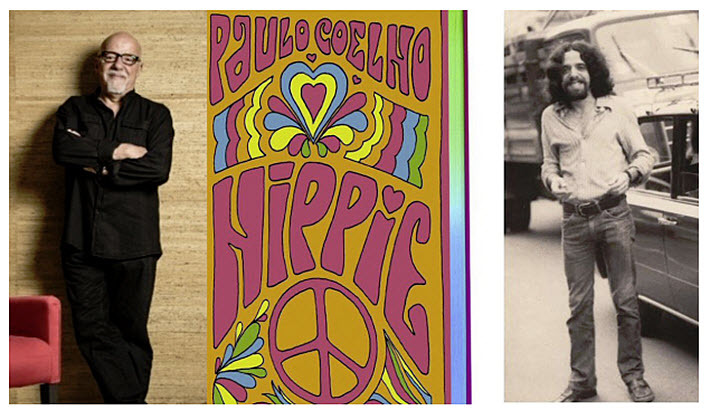 Borrowing a term from music, the serialized books were presented in staves, short sections or installments, to get a community of readers to engage with the text, the author and each other. The platform helped authors build their profiles in the marketplace, as groups of people talked about their books. Hughes and Cockroft were also interested in commissioning books, and they had several successes in their “Letters From” series, such as the Letters from Africa project. Four years later, however, The Pigeonhole has evolved, Cockcroft tells Publishing Perspectives. “When we started,” Cockcroft says, “The Pigeonhole was free but one had to pay for the books, and people are resistant to paying for digital products. His subscriber numbers, he says, were “in the hundreds rather than the thousands. 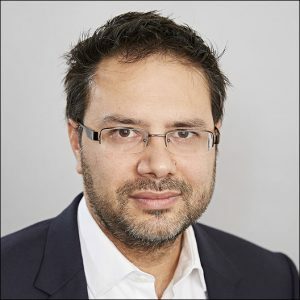 “With the right books,” he says, “the idea of serialization and conversations around the content was successful,” so they began to work on a few projects with independent publishers in the UK including And Other Stories, and Saqi Books, as well as with Bibi Bakare-Yusuf’s Cassava Republic Press in Nigeria. In 2016, the company’s founders accepted the fact that their platform couldn’t generate adequate revenue from people paying to read books, and they began instead to focus on working with publishers. For six to nine months they offered free trials to medium- and larger-sized publishers until Pan Macmillan came on board. Today, The Pigeonhole works with major UK houses including Penguin Random House, HarperCollins, Pan Macmillan, Bonnier, Hachette, and Bloomsbury. Besides the Coelho book, they’ll be serializing upcoming titles by Peter James, Wilbur Smith, Jodi Picoult, and Jeffery Archer among others (scroll down to see some upcoming titles). 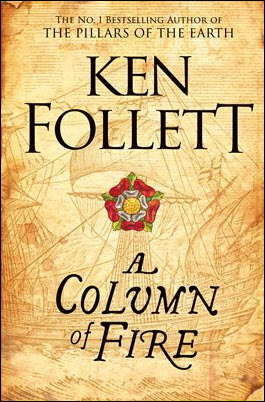 The company’s big break came in August of last year when Pan Macmillan used the platform for a serialization of Ken Follett’s A Column of Fire. The competition to read the book generated 4,000 applicants worldwide for 500 spaces. The online conversation, which included Follett, produced 3,500 comments. The book, third in the Pillars of the Earth series, would go on to become a No. 1 bestseller, and it was acknowledged, Cockcroft says, that The Pigeonhole’s extra push was beneficial. That attracted other big publishers to the platform, which went on to win the 2017 FutureBook Award for campaign of the year. The pivot, however, was not only from readers-as-client to publishers-as-client but also from more literary to mainstream content. “We lost a group of people who were there,” says Cockcroft, “because they liked discovering Letters from Africa.” On the other hand, in two years, The Pigeonhole redefined its community, which now numbers some 35,000 members, about 5,000 of them reading actively. The vast majority of The Pigeonhole offerings now are limited copies in serialization of books ahead of their release. A standard serialization can result in more than 600 comments and 40 reviews, with spillover into social media. Major authors can achieve double those numbers. “It has taken a long time to get here,” Cockcroft says. “Tech in publishing is quite a slow process. In the tech world you’re told to do it really fast and if it fails, it fails. But publishers have a very different pace. The Pigeonhole charges publishers anywhere from £500 to £5,000 for a project (US$651 to $6,511), depending on how elaborate it is. Cockcroft says they still try to work with smaller publishers, charging them the lowest possible fee. On the development side, he says he’s working on expanding the concept to Germany, Australia, the United States and Denmark, sometimes approaching the local division of an international company with which they’re already working. Additionally, the platform provides a book club series for corporate clients, companies that want to cultivate team building. It also has experimented with Rathbones and HarperCollins, running book clubs in schools. And, because The Pigeonhole is also a tech company, it’s upgrading its Android app and focusing on real-time analytics. More from Publishing Perspectives on the UK market is here.